Holotable 0.9.9 contains changes for the virtual card reset of 2014. Holodeck 0.3.9 is a bug fix release that prevents a crash when adding a new card to a deck while it is sorted by card name. Install at least version 2.12 of GTK. You must install GTK 2.12 or higher to run Holotable and Holodeck. Windows users can download a GTK installer directly from our server here. A variety of versions can be downloaded from http://sourceforge.net/userapps/mediawiki/alex-sh/index.php?title=Downloads. Vista (and possibly Windows 7) users may need to experiment with different versions to get one that works best for them if crashes/lockups occur. Note: Files downloaded for Linux may have a ".exe" extension added to the end of the filename you choose when saving. The files are all .tar.bz2 archives, so the filename may need to be modified to reflect the format correctly. Go to the download area. Steven Schneider has put together the two-player game and Death Star II fixed decks for use with Holotable. Thanks a lot for making these available for everyone! Download the fixed decks (.zip file, 35KB). The PC released two demo decks for players new (or newly returning) to the game. Right click the links and choose "Save link as..." or something similar. Dark Side and Light Side. kryptofis has collected some decks to give new players (particularly returning ones) something to get more in-depth with and see what is out there. These decks come from quite a few different players and have the name(s) of the author in the filename. Both Light and Dark Sides are included. Download the deck pack (.zip file, 30KB). Psychobabble has put together a deck pack for use by players trying to get into the game. The pack contains 4 decks for each side and should provide a good selection of playable (though not necessarily dominant) decktypes as of Virtual Set 16. A readme is provided; it gives a short strategy/description for each deck. Download the deck pack (.zip file, 107KB). 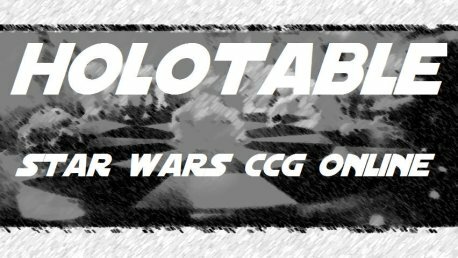 Psychobabble has put together a deck pack for use by players trying to get into the game. The pack contains 4 decks for each side and should provide a good selection of playable (though not necessarily dominant) decktypes as of Virtual Set 11. A readme is provided; it gives a short strategy/description for each deck. These decks are built to be used with Holotable 0.6.1 or later. Download the deck pack (.zip file, 80KB).